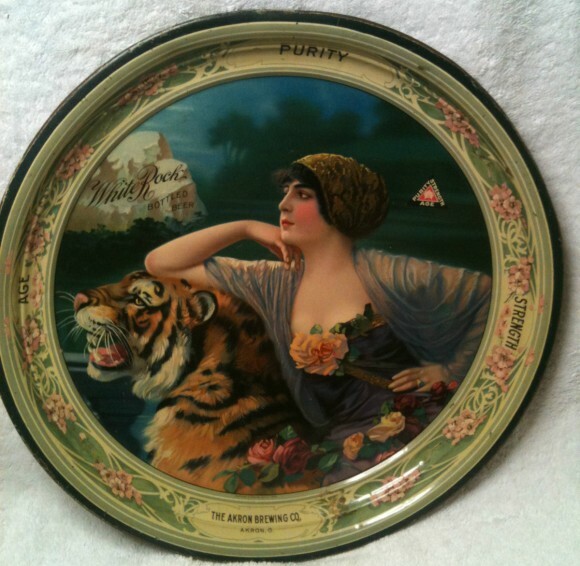 Serving Tray for White Rock Bottled Beer from The Akron Brewing Company showing in the center a beautiful woman laying atop a tiger. Purity, Strength, and Age are stated around the border. This stock tray has a great design, and can be found for more than one Brewery.